Last week, elementary students at Durham and Biggs hosted BCOE Superintendent Tim Taylor, his executive assistant Mia Osborne-Ng and mascot Chewy for some learning fun. 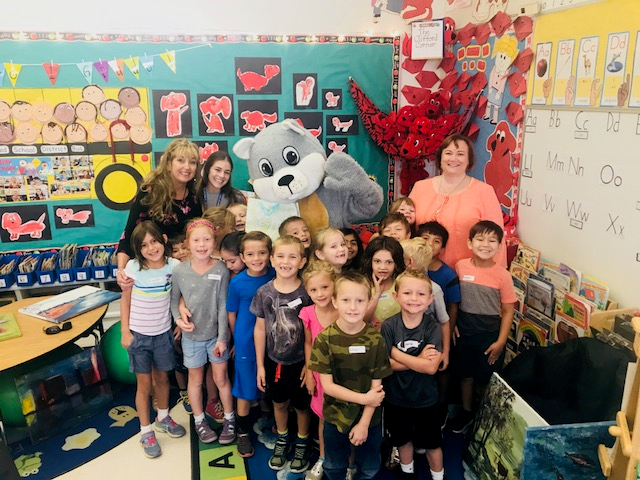 Taylor and crew dropped in on Jona O'Shea's classroom at Durham and on Melissa Heath's classroom at Biggs to share donuts, artwork, adventure stories and a few Chewy dance moves. In addition to sharing artwork and stories, Superintendent Taylor helped the students create a thumbprint picture frame for their teacher. 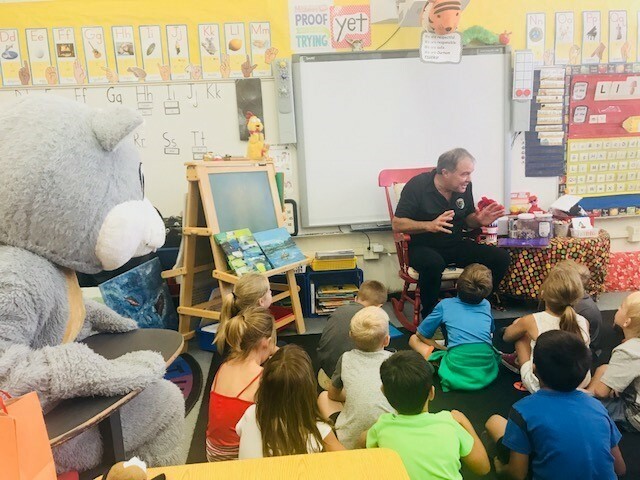 Afterward, Durham's O'Shea reported that the visit was very special for her students, who got to hear Superintendent Taylor talk about visiting Clifford-land and tell a story about the class mascot, Clifford the Big Red Dog (created by author Norman Bridwell). Chewy sits with the class while Superintendent Taylor talks about art.